I hope you’re all having a great Monday and enjoying your summer! It’s hard to believe that it’s already July. We’ve been busy around here…keeping up with our garden, chasing Squishy and going for bike rides on the Fox River Trail. 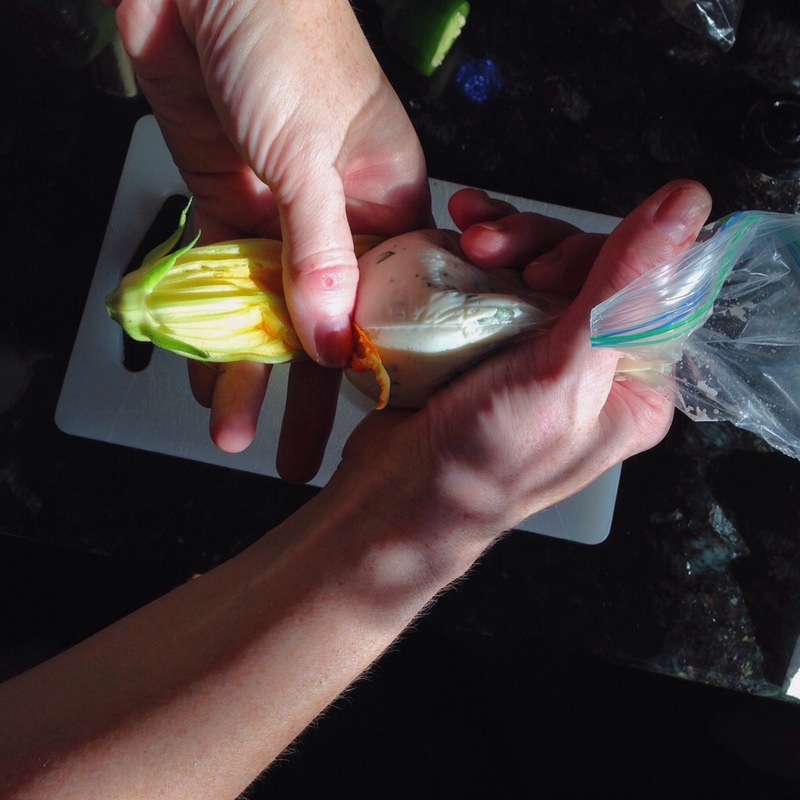 This weekend we had zucchini and summer squash blossoms popping up all over the garden. 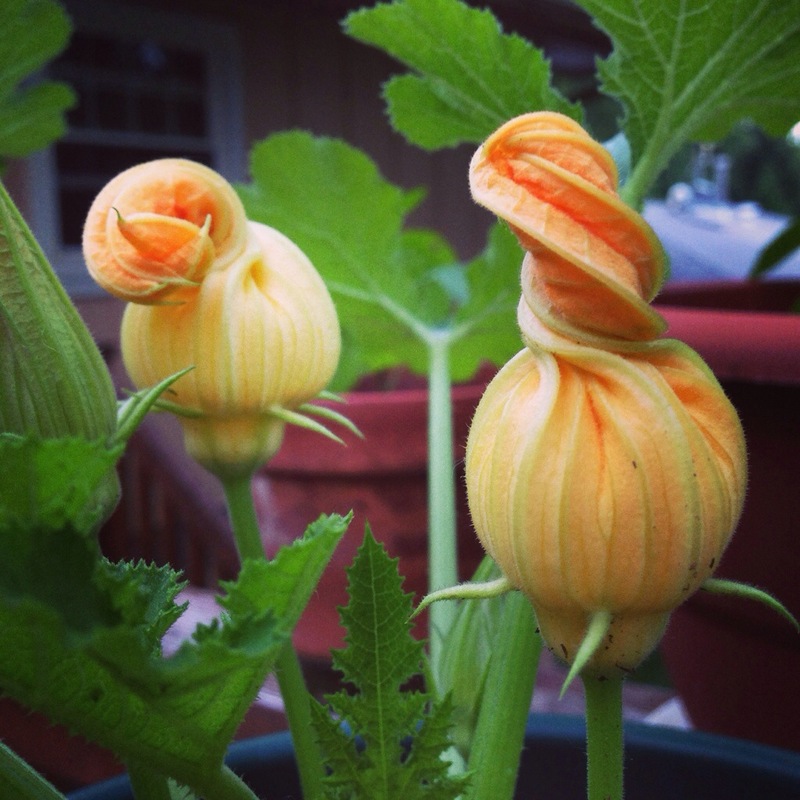 The female blossoms have a small bulb at their base that a squash with grow from. The male blossoms are often on longer stems and once they close up they’re perfect for stuffing! Pictured below are a couple make blossoms that were growing in a planter on our deck. We had some family in town so we had a perfect excuse to fire up the grill and try something new. 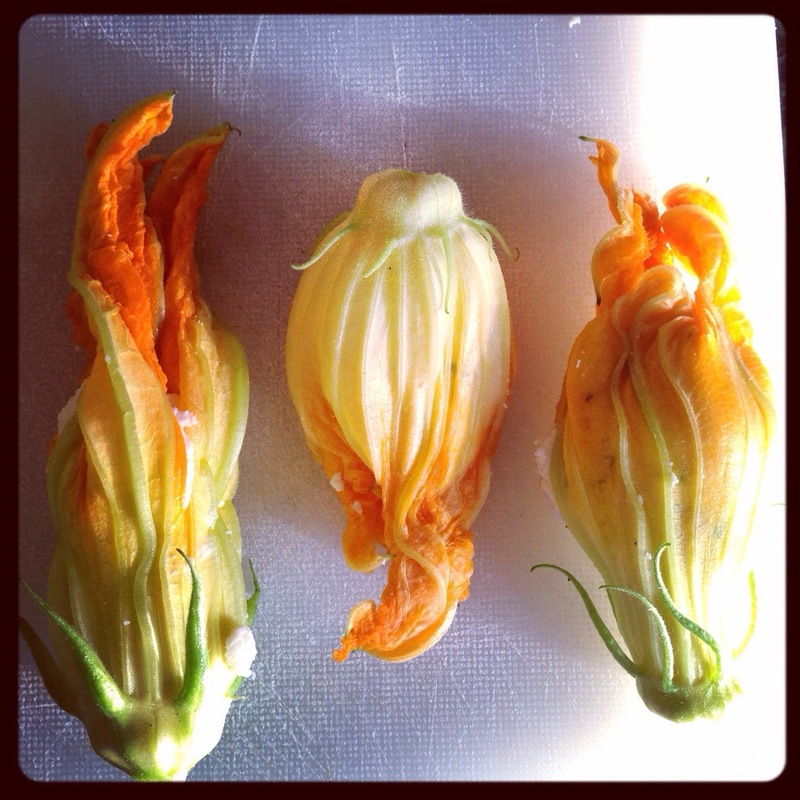 The 8-10 squash blossoms sounded like fun to play with! Mix above together and place into a zip top baggie, trim one comer and use to pipe into each blossom. We put them on a hot grill and turned over after 4 minutes. After 8 minutes they had some nice grill marks and were warmed through. These were fun to make and a healthier alternative to frying. 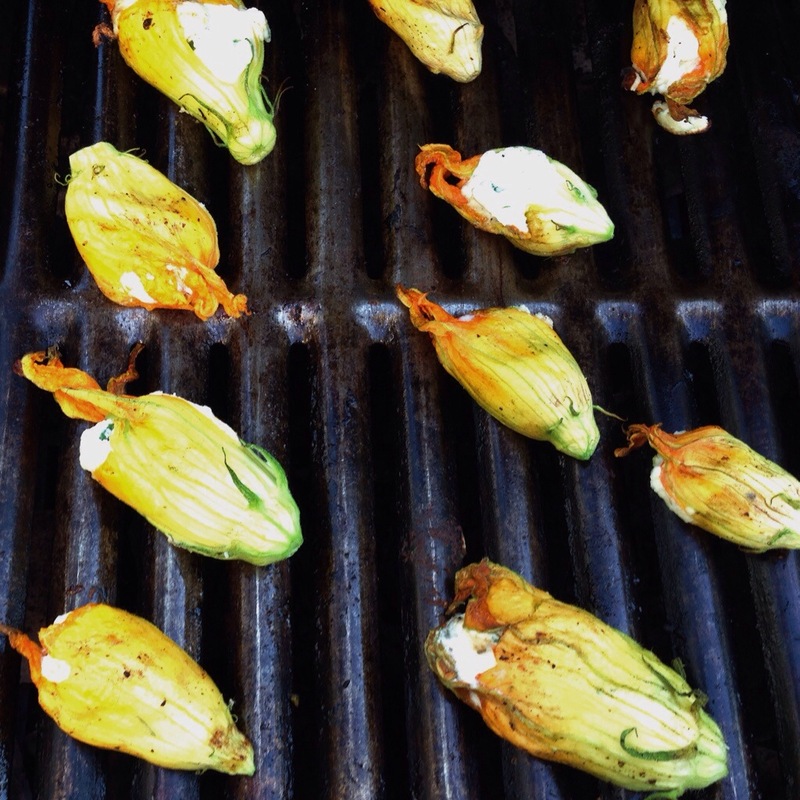 We enjoyed them along side grilled veggie tacos and corn on the cob. What do you do with the leftovers from a beer can chicken? The logical answer to me this morning was Southwest Chicken Salad for lunches. Mix all together and spread on your favorite bread or roll. Enjoy! This should make enough for a couple large sandwiches. If you had a whole cooked chicken, you could increase this to make enough for any weekend gathering. I’ll leave you today with a photo of Bean from this weekend of chillin’ and grillin’. She loves to sit out in the yard!